Disclaimer: I received a free review copy of this title from the publisher. For a playwright so prolific and widely beloved—at least today—William Shakespeare left surprisingly little behind on his death in 1616 at Stratford-upon-Avon. His will makes no mention of papers or books, though he famously left his wife his second-best bed. In literary scholarship, the books, letters, and papers of famous authors become, after death, invaluable treasure troves for those who study their work. But in the case of the English language’s most famous wordsmith, no such legacy remains. 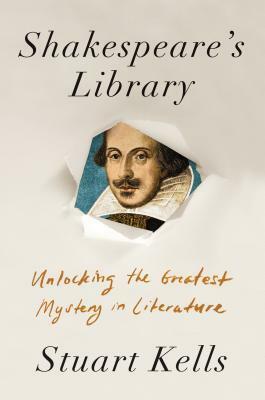 Stuart Kells follows the many efforts that have been made in the four centuries since the Bard’s death to locate his papers, and the various searches and expeditions that have tried to track down Shakespeare’s library. But the itinerant playwright seems to have left little trace, and much has been made of that vacuum. This title was originally released in Australia by Text Publishing in 2018, and is being published by Counterpoint in the United States. Shakespeare’s Library is divided into three parts, including The First Searchers, The Heretical Searchers, and Visions of Shakespeare’s Library. Kells begins with the earliest efforts to locate the Bard’s papers. It is a complex history, fraught with false leads, and red herrings. Bemused Stratford-upon-Avon locals have been known to play tricks on the treasure seekers, such as pretending that they recently burned a stack of old papers that might have belonged to their most famous son. Other searchers turned out to be frauds and con men, happily supplying the lack of Shakespeare memorabilia with documents of their own creation. This hair raising history will be enough to make you question any such future discoveries that have not been carefully vetted. While Shakespeare is regarded as high literature today, this is far from having always been the case. Drama was considered a low art, while poetry was the pinnacle of literature. If you sift through the Elizabethan English, the Bard’s plays are filled with ribald jokes and innuendos. Indeed, the very term “bowdlerize” arises from the work of the Bowdler siblings, who created The Family Shakespeare in the 19th Century, expunging blasphemy and immorality from the plays, expurgating some ten percent of the original text to create a “cleaner” version suitable for family consumption. Indeed, Shakespeare was something of a vulgarizer of existing stories, punching them up for the stage. His shows played to popular acclaim, but little critical regard. While some book collectors did include play manuscripts in their libraries, they often did not bother to individually list them when cataloguing their collections. The lack of survival of original play texts is even less surprising when you consider that the fad for first editions post-dates Shakespeare. Indeed, “in the seventeenth century, collectors replaced old editions with new ones, and regarded this as an improvement.” Still other collectors, more concerned with clean copies than original ones, thought nothing of a taking apart several editions, sometimes of different printings, and then rebinding them together into “mongrel editions,” thus completely destroying the “bibliographical integrity” of the books. Beyond just a history of the search for Shakespeare’s papers, Shakespeare’s Library also embeds a fascinating history of book collecting as passion and pastime. Of course, one cannot go looking for the Bard’s papers without engaging with the Shakespeare Authorship Question. Nature abhors a vacuum, and a rush of frauds and conspiracy theories have arisen to fill it. If Shakespeare was merely a frontman for an anonymous aristocrat who was the real author of the plays, then of course it would not be surprising if he left no papers behind. Kells is an orthodox Stratfordian, but he attended university at Monash in Australia, which he discovered to be a surprising hotbed of anti-Stratfordians and Shakespeare heretics, an experience which Kells describes as being a bit like “discovering all your friends are Scientologists or swingers.” Kells is conversant with all of the various theories, as well as their problems and implications. The argument that grows up from Shakespeare’s Library is much simpler; Shakespeare was a voracious borrower, an inveterate repurposer, perhaps even a shameless thief of existing texts. While ideas of authorship and copyright were much looser in Elizabethan times than our current understanding, Shakespeare was so egregious than even his contemporaries occasionally complained about his behaviour. Yet copious borrowing combined with diverse editors might make for exactly the sort of breadth and variety of knowledge that lead the conspiracy theorists to conclude that Shakespeare must have been an extremely well-educated and well-travelled aristocrat rather than a mere commoner who may have lacked so much a grammar school education. Stuart Kells confidently takes the reader through this fascinating history, tracing the high highs and low lows of a centuries old quest. If the idea of Shakespeare’s original manuscripts makes you salivate a little, if the Shakespeare Authorship question horrifies and fascinates you in equal measure, then this is the book for you.